On the morning of September 11, 2001, I woke up on the sofa a woman I’d probably recognize if I saw her but can’t recall these days. The dude the bar had produced to be my best friend the night before, whom I knew through a cocaine dealer, knew her better than i did, and neither he nor I knew the other chick, but she did, and the four of us all wound up at the woman’s house after the bar and going to about 20% of the new day. And then I woke up on the sofa like I woke up so many mornings, trying to piece together what all had transpired prior to me getting there, and the television was on in front of me, and planes were flying into buildings. For some reason, it seems amazing to me to know that on a morning 17 years ago I woke up between 8:46 and 9:03. 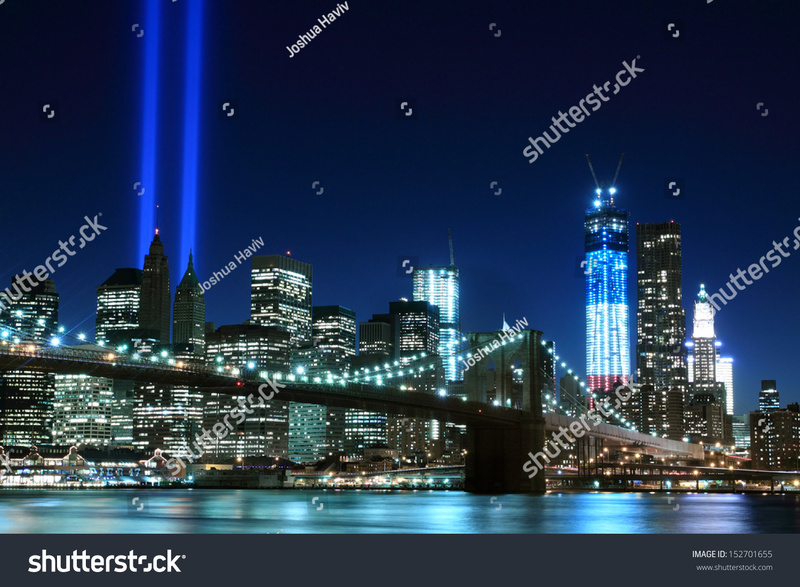 It’s easy enough to write this off as simply the result of knowing that those were the times when the two planes struck the towers of the World Trade Center, because it is. Still, off the top of my head I can’t think of another day out of all the days I’ve lived that I can look back to over a long period of time and say so closely when I woke. Looking at it like that, it’s somewhat distinct. When I awoke, the one plane had already hit it’s tower. I had been awake a few minutes when the second entered the screen. The channel you were watching determined which angle you saw, and the view I was watching showed the second plane enter the frame from the back left. So, the plane was flying toward me somewhat, as it was flying toward the building. This view allowed for the plane to be in the frame long enough to register before it struck the building, and it was just the craziest thing I’ve ever seen. In that instant, our world changed, and I knew that it had. Sitting there in that living room, where I’d flopped after a long night of partying, like everyone, I felt helpless. I felt guilty too, however, because, not only was I helpless, but I had made myself more so by my impaired condition. I went on to spend that day the same way that I spent the night that birthed it. I went to the restaurant and got it closed down–Even then I held enough sway that the Area Director didn’t make the decision to do so until I weighed in, and then he made the decision immediately–and then I grouped up with some people and we went drinking, not stopping until the bars closed again. Looking back, I guess I handled this so poorly because of the guilt I felt for making myself even more hopeless than I should have been. Like so many days, I was walking the walk of shame, and it was easier to do with people whose opinions of me didn’t really matter all that much. I hate that I lived that day in such fashion, because of the people I hurt and worried, but if I can use it as a reminder to be ready to act in the face of the unexpected, it won’t be a complete waste or failure. I offer my apologies to all who deserve them. I can’t bother wishing things hadn’t been the way they were, but I can tell you that, as much as you may have hated how I treated you that day, I hate how I treated us more than you’ll ever know. More than that, though, I can promise you this: I did learn from all of those dark and sketchy mornings, and I’ll be ready next time something like that happens. I love you all, and a day like this makes me realize that even more. Be well, my friends; you’re in my prayers. Thank you, brother. That wasn’t the brightest period of my life. I’ll be getting back to things here in the next couple of days. The 2.0 version of this whole experiment will be rolling out proper in the coming days. I haven’t completely enjoyed this transitional downtime, but it has been necessary for my boys. Things are looking good now, and I’m anxious to see what comes next. Be cool, my friend. Thanks always for reading and weighing in. Thank you, friend, as I am too. It starts today.